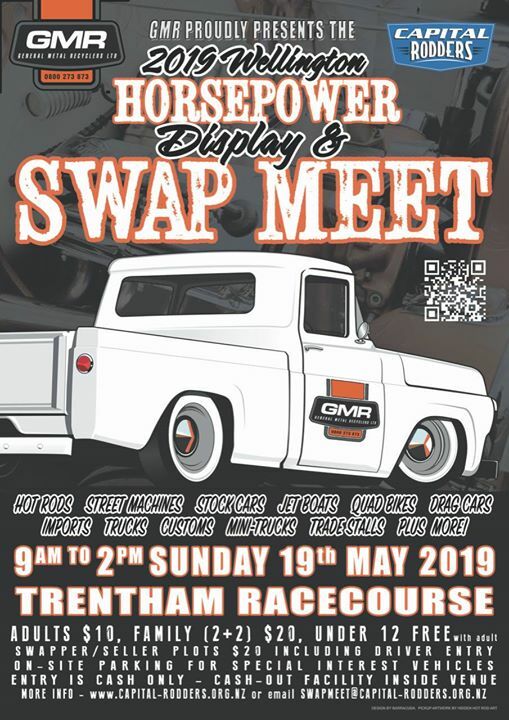 The Capital Rodders General Metal Recyclers 9th annual Horsepower Display and Swap Meet is on 9am-2pm Sunday 19 May at the Trenthan Racecourse, Upper Hutt. This event is always popular with a great variety of vehicles and horsepower on display, awesome car parts stalls, auto memorabilia and many happy customers. Special thanks to our sponsor General Metal Recyclers. 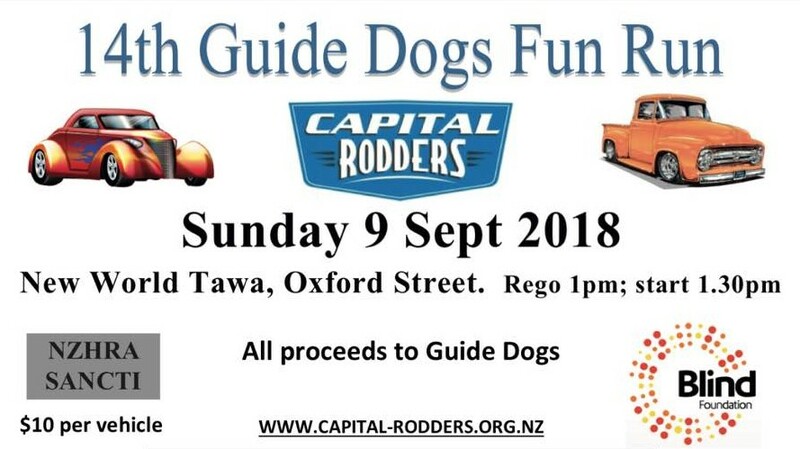 Our 14th annual guide dogs fun run was held on 9 September 2018. Thanks to everyone that supported the event. © Capital Rodders Inc. All rights reserved.